We hadn’t intended to buy kayaks. We threatened to do so for several years, wondering where to store them in our small downtown house or using them enough to justify no longer renting. It dawned on us that, living 10 minutes from Ashbridges Bay on Lake Ontario, our use would increase. 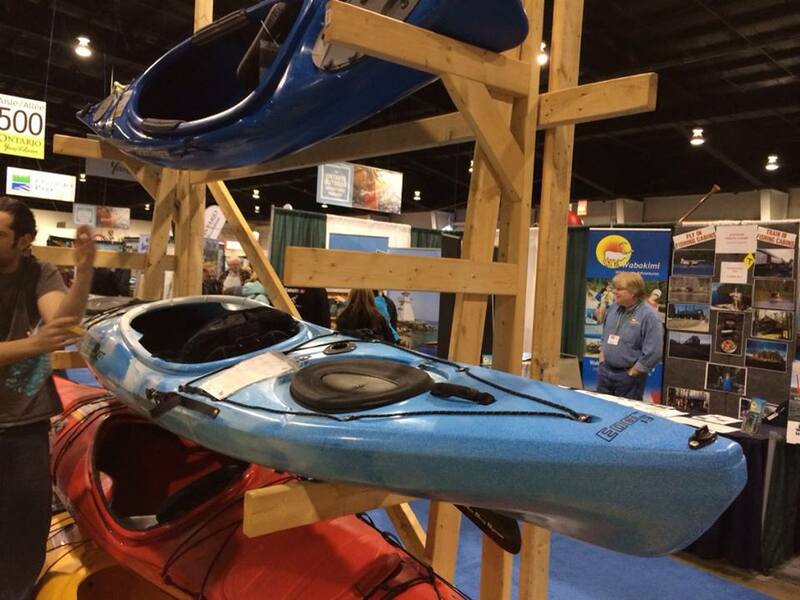 So, at an outdoor show we had never intended to visit, we bought two kayaks to be picked up in May. I started canoeing in my teens and did several 2-week wilderness “voyages” through lakes and down the Spanish River before returning to university at the end of summer. We camped on small islands and slept under our canoe or tarp. We saw all kinds of wildlife and at night the magnificence of the Aura Borealis and more stars than I have ever seen since. A few other images flash through my mind. A flashlight bobbing in the water at night, marking the spot my now swimming friend had slid into the water cleaning the night’s dinner plates. The smack of a canoe hitting a tree in the forest as another portaging paddler, canoe on his shoulders and pack on his back walked with determination, blissfully unaware he had left the trail and marched into the woods. The laughter as florescent-colored ponchos lashed to paddles propelled us across the lake. And the rapids. Walking alongside, planning a route. The excitement, the spray and the elation of making it to the other side. Oh, and hanging from a rock in the middle of the Spanish River, holding a pack too heavy to lift out of the water waiting to be rescued by my companions, the current too swift to paddle against. Then life got in the way and except for a vacation or visit to a friend’s cottage, I canoed very little. My wife enrolled us in a 2-day kayaking course and that was it – I was back and loved kayaks. My challenge is photography. We are planning several overnight kayak backcountry paddling trips this summer and I have been looking at various camera alternatives. At the moment, I’m leaning towards a GoPro to create video and time-lapse photography and since it is waterproof and small, would suit me. I’m looking for a good still-shot alternative even though the GoPro does still photos, too. This entry was posted in Nature, Sports Photography, Travel Photography and tagged boats, canoe, Hiking, Kayak, lakes, nature photography, outdoor photography, paddling, photography, travel photography. Bookmark the permalink.